PKR Poker will be moving its players from its stand-alone platform to the Microgaming Poker Network (MPN). 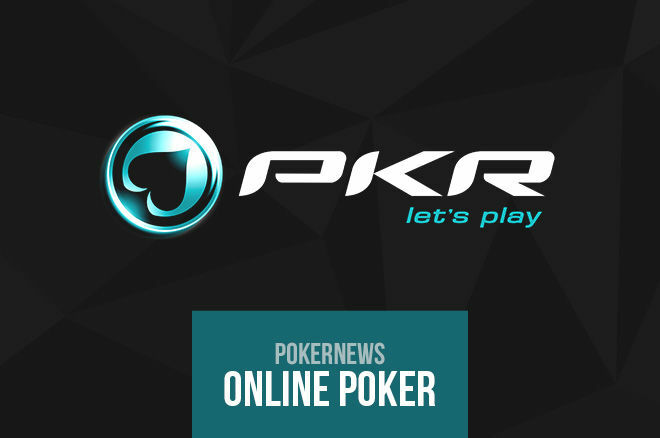 PKR Poker recently announced that the online poker room will be moving its players from its stand-alone platform to the Microgaming Poker Network (MPN) later this month. MPN currently ranks 10th on Pokerscout's Online Poker Traffic Report while PKR Poker is much further down the list in 38th place. However, MPN's ring-game traffic combined with PKR Poker's traffic would be sufficient to catapult it into eighth place just behind partypoker. Poker players will still be able to enjoy the award-winning 3D poker client while now enjoy more liquidity with bigger tournaments and more ring games. Additionally, players will still be able to access PKR Poker via just about any computer or device imaginable via a downloadable client for PC, Mac, iOS and Android, along with instant play poker through an Internet browser. On the day of launch, you'll log on to the same 3D poker client as normal, but you'll see six times as many players online. Chief Executive Officer at PKR Technologies Limited Chris Welch announced the changes on the PKR forums letting players know what they can expect when the migration takes place. "On the day of launch, you'll log on to the same 3D poker client as normal, but you'll see six times as many players online, thre times as many tournaments every day and over €3.5 million in monthly tournament prizes," said Welch. In addition to increased liquidity, PKR Poker players also will be subject to a few other major changes. Instead of games being offered in U.S. dollars like PKR Poker players are currently used to, games will be in Euros. Additionally, the online poker room will be introducing a new loyalty scheme called the PKR Poker VIP Club, which Welch states that "the overwhelming majority of you will be better rewarded than before." The migration to MPN isn't the only change at PKR Poker as they also will be launching a new website with a more robust banking section with up to 13 different currencies available along with the launch of two new casinos — PKR Casino and PKR Vegas — that will offer over €7 million in jackpots. "PKR has survived (and sometimes thrived) for 10 years as a stand-alone poker room, but neither our staff, investors nor players are content with 'survival', and we have ambitious plans. "We want to give you the best poker experience possible but with the biggest tournaments, and games available every minute of the day. This move allows us to remain true to our video games roots while giving you more choice, more opponents and more prize money- the best of both worlds. "We are still totally committed to our 3D world, and to our community, as these are the two things that have got us this far. Being able to tap into a bigger player pool just makes sense. "Because of this and so many other new or improved features we'll share with you next week, it's a ground-breaking moment for PKR. I hope you go all-in with us and see where it leads!"